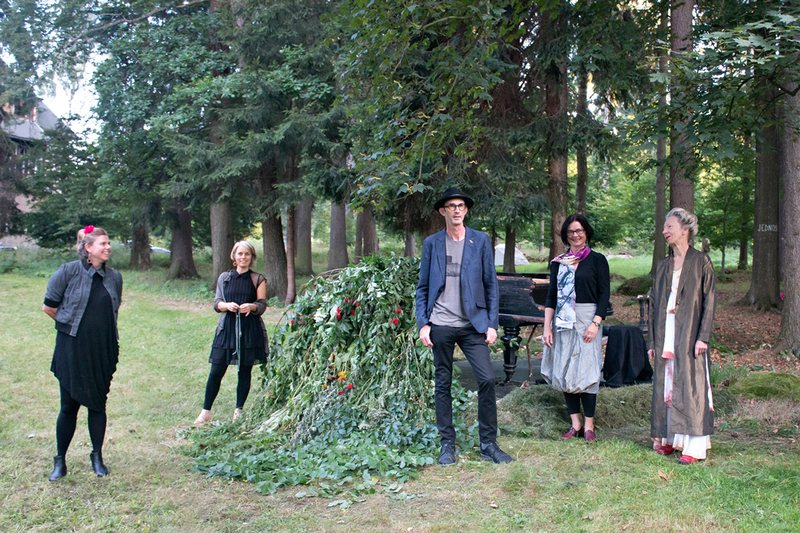 Bloom Collective: Erik Griswold, Vanessa Tomlinson, Renata Buziak, Vicki Kelleher, Jan Baker-Finch. 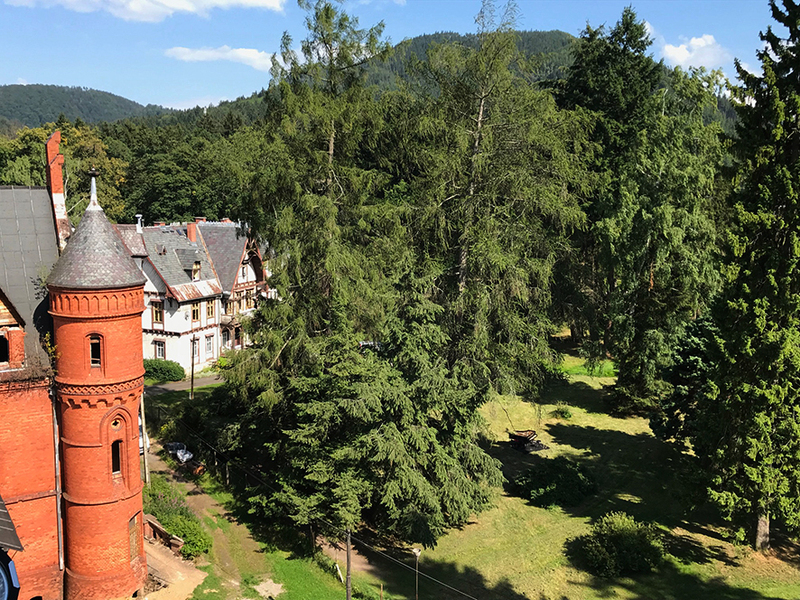 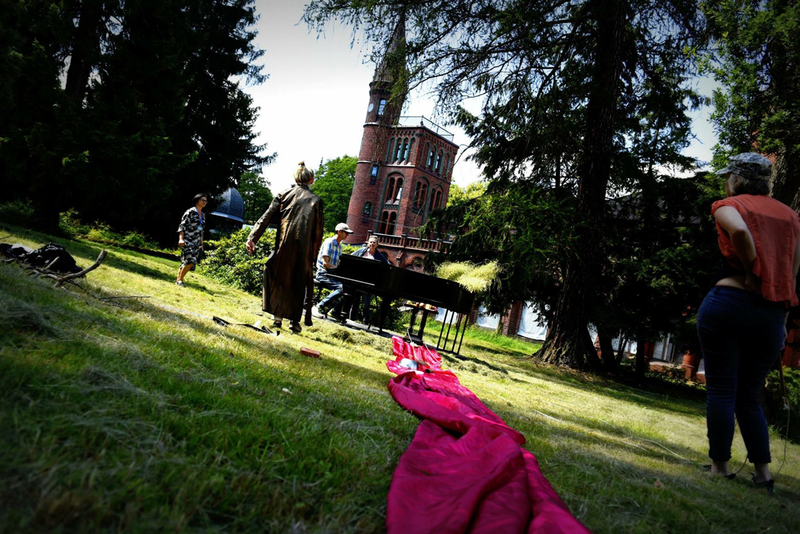 Piano Bloom is a new installation work from 5 leading Australian artists made for the Sokolowsko castle. 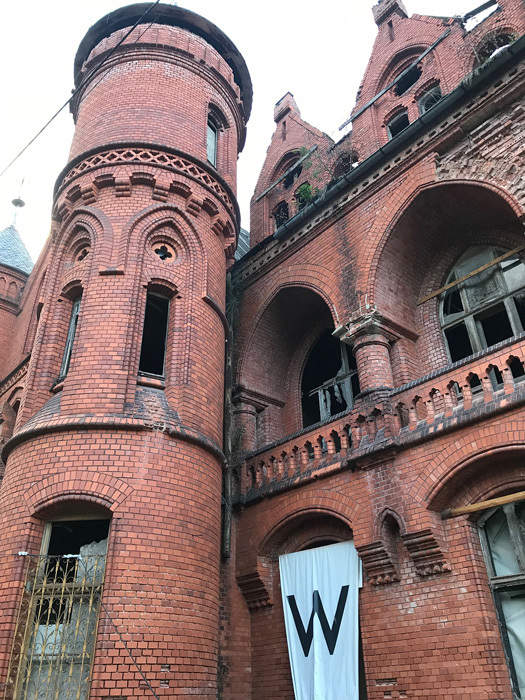 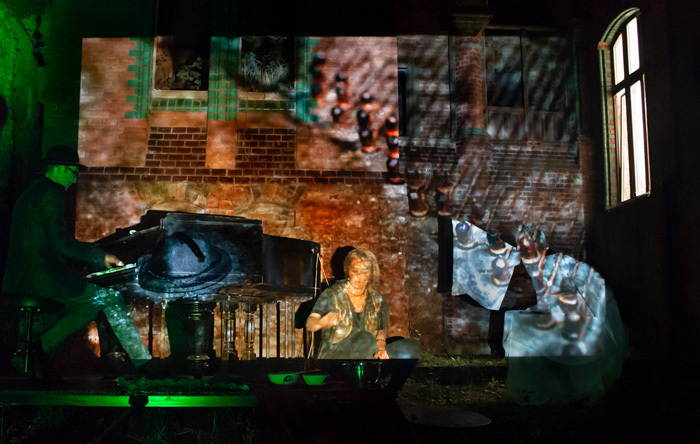 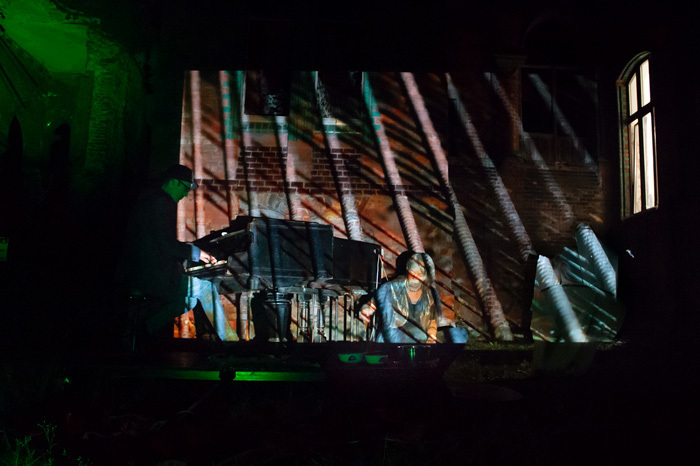 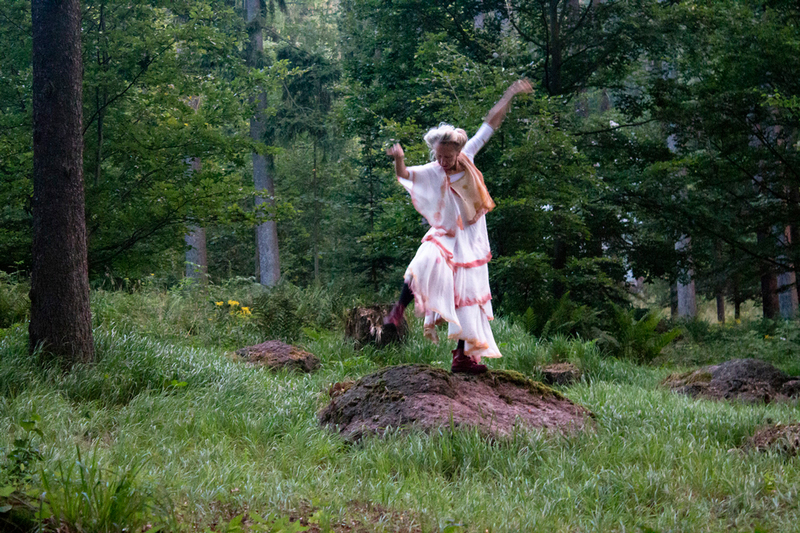 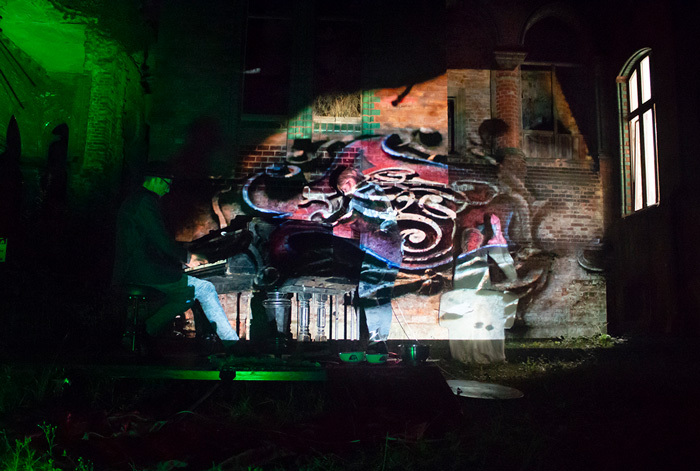 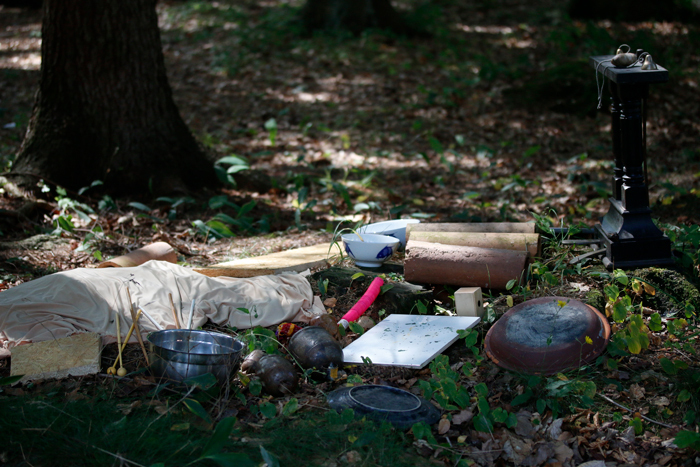 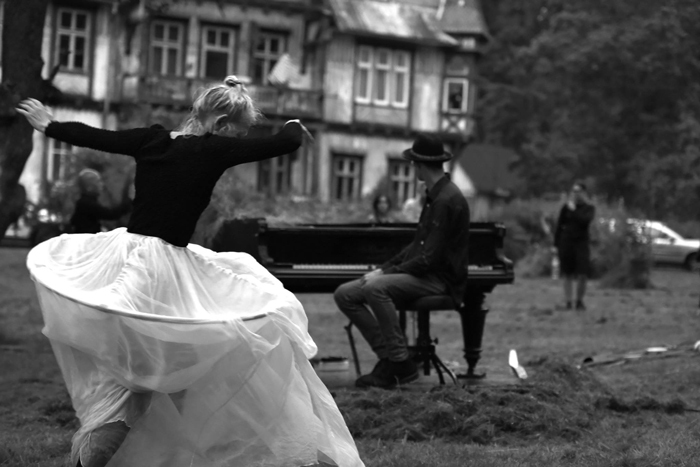 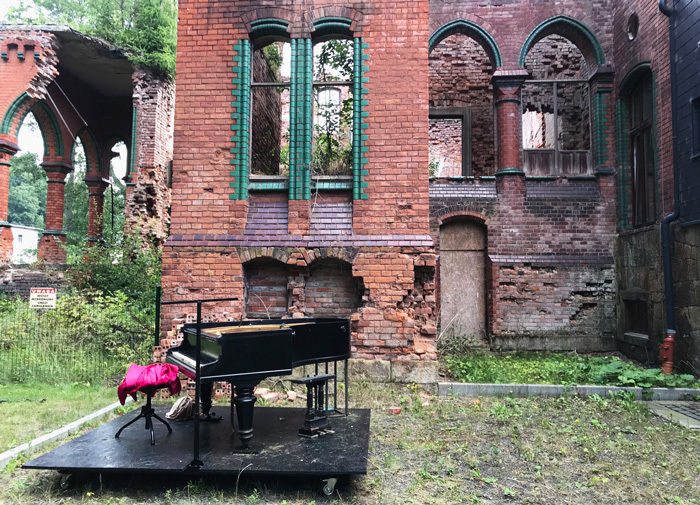 Centred around ideas of decay and regrowth, the castle’s piano, now outdoors, is explored through music, dance, poetry and video. 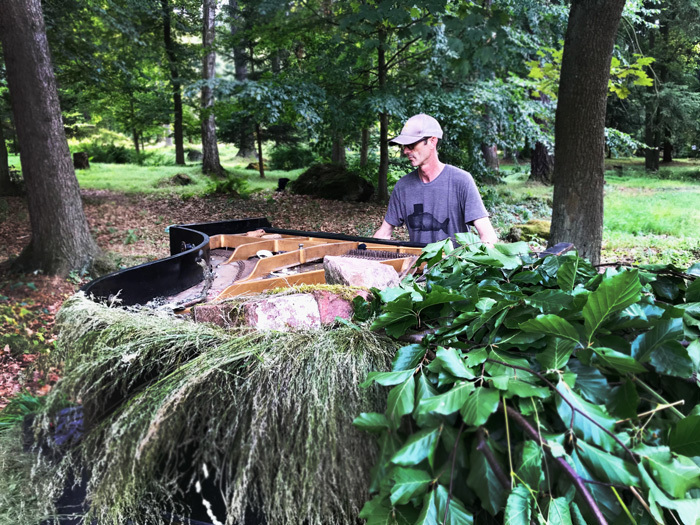 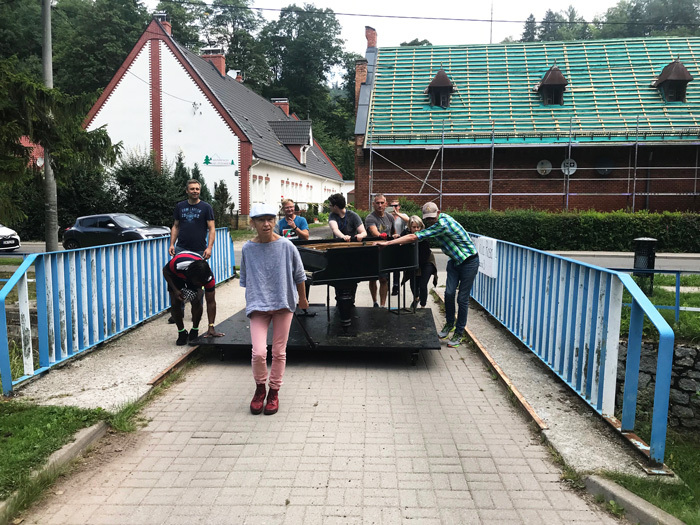 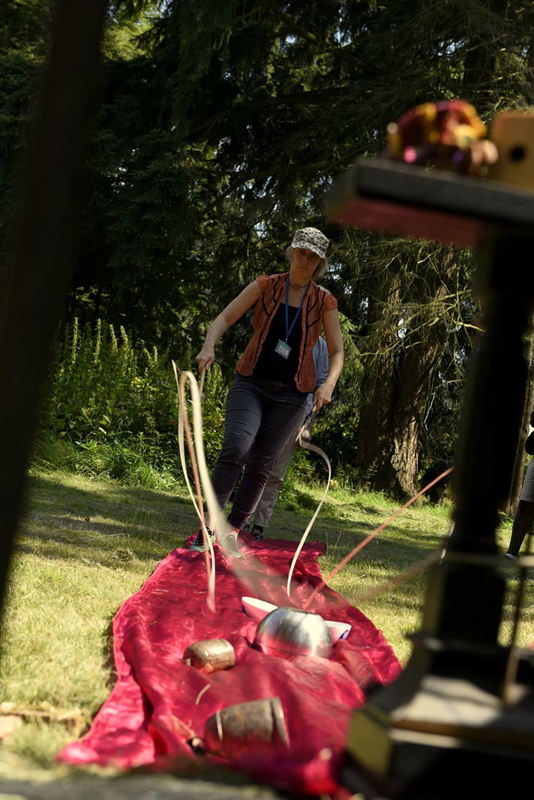 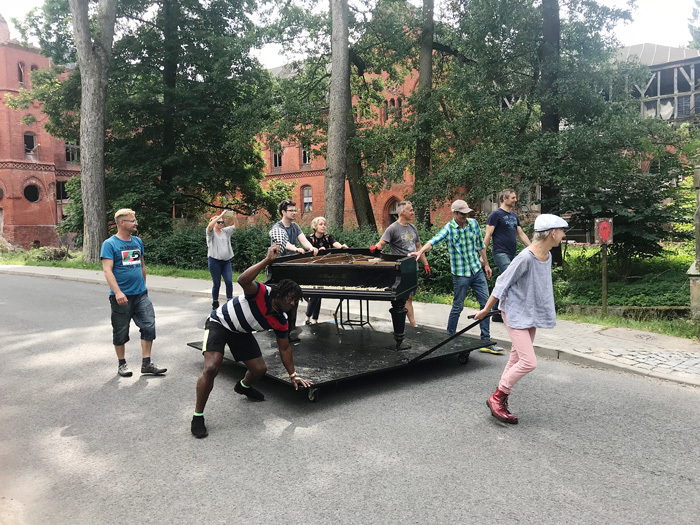 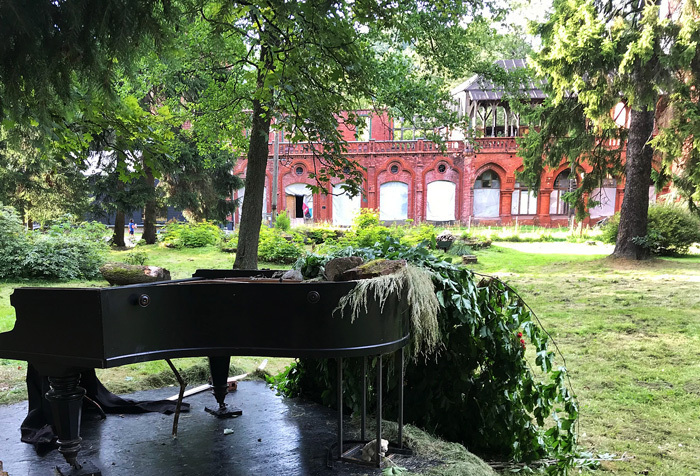 The Bloom Collective are engaged with site-specific piano “plantings”, preparing and re-connecting the instrument to nature, and re-imagining future possibilities for this ageing sculpture. 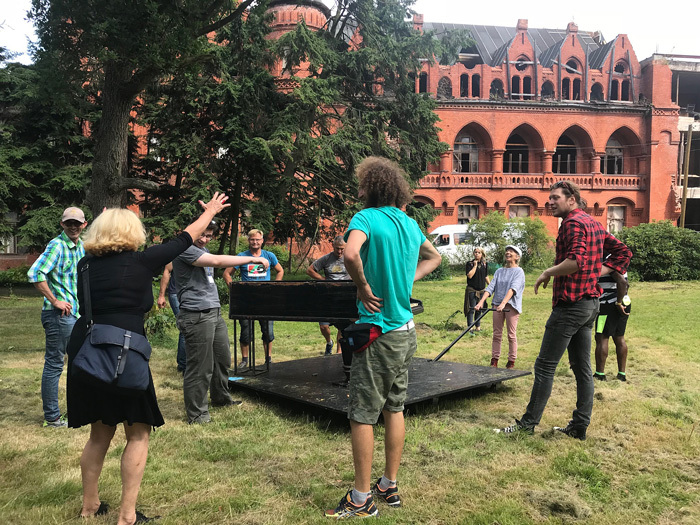 Piano Bloom can be investigated as an installation, or listened to as an activated performance featuring the Collective playing, reading, dancing, projecting ideas in and around the piano.